Here are some of the excellent resources congregations can use to move further along the path of peace and justice for all those living in Palestine and Israel. And because we all come to the issue from differing perspectives, there is no single starting point. A documentary film followed by a discussion is often the first step for churches; a Sunday School class can easily be organized around a study guide. Whatever you determine for your congregation, the important point is to begin. We all must start somewhere—and there is no better time than now. For more than 60 years the Palestinians – Christians and Muslims – have suffered displacement, expulsion, wars, occupation, and oppression. The voices of Palestinian Christians have all too often been drowned out in the turmoil of events. From 1948 up to today, through wars and uprisings, leading Palestinian Christians, including the late President of Beir Zeit University Gabi Baramki, Palestinian leader Hanan Ashrawi, civil society activist Ghassan Andoni, Patriarch Emeritus Michel Sabbah and others recount the unwavering and sometimes desperate struggle of all Palestinians to resist Israel’s occupation and stay on their land. 55 minutes. Available from Middle East Books. What are the origins of the Israeli-Palestinian conflict? What are the common myths and misperceptions about the conflict? What is the role of the US government in the conflict and the peace process? What challenges and opportunities lie ahead in the quest for peace? How can congregations contribute to the cause of just peace for the people who share the Holy Land? 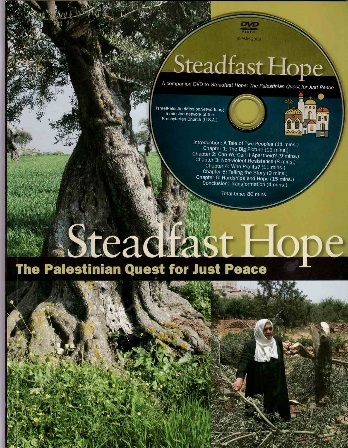 Steadfast Hope presents a compelling snapshot of the current situation on the ground, highlighting the tragic human costs of war and occupation. The booklet also offers an inspiring view of cooperation among Muslim, Jewish, and Christian peacemakers working for justice and reconciliation. This 48-page, richly illustrated booklet is accompanied by a free companion DVD with short segments for group viewing and discussion. The booklet also includes a study guide for weekly lesson plans. 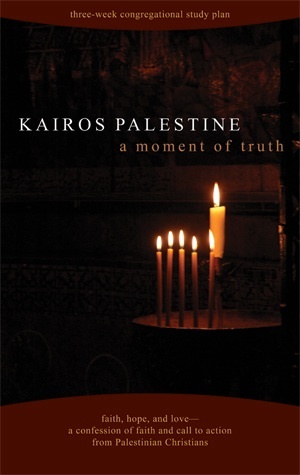 Available from the Israel Palestine Mission Network of the Presbyterian Church USA. In 2009, Palestinian Christian leaders wrote a “word to the world about what is happening in Palestine.” It is a call for Christians around the world to recognize the struggles of the Palestinian people and to stand with them against injustice. The Mennonite Church USA responded to the document with this letter, urging Mennonite congregations to read and discuss it together. The document can be downloaded from the Kairos website. A three-session study guide is available from the Israel Palestine Mission Network of the Presbyterian Church USA. A six-session study guide is available from Kairos USA. A study guide from a Mennonite perspective is forthcoming. Keep posted! For Palestinians, the events between 1947 and 1949 are remembered as a time when Israeli military forces destroyed over 500 Palestinian villages and expelled between 700,000 and 900,000 Palestinians from their lands–about 85 percent of the Palestinian population at that time. These refugees have lived exiled from their land since then. Today Palestinians represent one-third of the global refugees and internally displaced population. Learn about the Palestinians who call these events the “Nakba,” an Arabic word meaning “catastrophe.” Both Palestinians and Israelis are children of the Nakba, heirs to a story of dispossession. Building a shared future of justice, equality, and reconciliation for both peoples will mean grappling with this history. Produced in 2004 by Mennonite Central Committee; much of the information remains useful today. This film demonstrates that there is a biblical alternative for Christians who want to love and support the people of Israel, a theology that doesn’t favor one people group over another but instead promotes peace and reconciliation for both Jews and Palestinians. 1 hour, 22 min. See the God on Our Side website to purchase the video. Website includes a free study guide with seven sessions for use with the video. What role have Zionism and Christian Zionism played in shaping attitudes and driving historical developments in the Middle East and around the world? How do Christians, Jews, and Muslims understand the competing claims to the land of Palestine and Israel? What steps can be taken to bring peace, reconciliation, and justice to the homeland that Palestinians and Israelis share? Zionism Unsettled embraces these critical issues fearlessly and with inspiring scope. The booklet and companion DVD draw together compelling and diverse viewpoints from Jews, Muslims, and Christians in Israel, Palestine, the US, and around the globe. By contrasting mainstream perceptions with important alternative perspectives frequently ignored in the media, Zionism Unsettled is an invaluable guide to deeper understanding. 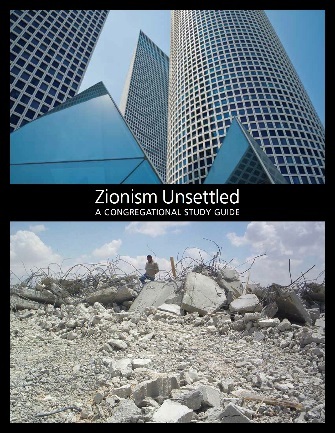 Released in January 2014 to immediate critical acclaim, Zionism Unsettled consists of a 74-page illustrated booklet and a free companion DVD. A how-to guide for class leaders and focused discussion prompts make it an ideal resource for multi-week exploratory education programs in churches, mosques, synagogues, and all classroom settings. 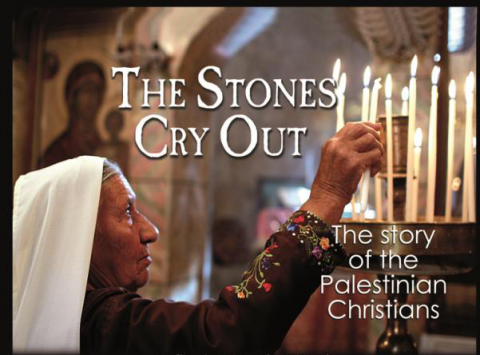 Available from the Israel Palestine Mission Network of the Presbyterian Church USA here. Rooted in Mennonite Central Committee’s nearly six decades of work alongside Palestinians and Israelis, Under Vine and Fig Tree examines ways in which the Bible has been used to justify violence and dispossession and ways it can be received as a life-giving word for Palestinians and Israelis wishing to live securely under their own vines and fig trees.